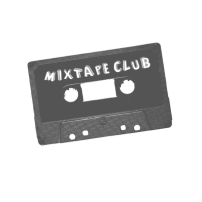 Mixtape Club is an EHS music-centered club focused on providing students with a fun way to show their creativity through making playlists. It's often hard to share and enjoy music in school unless you are in the band/orchestra programs, so we created a club that welcomes all genres and ideas. One of our goals is to have the music be a representation of the mix's creator. Not only can you share the music you are passionate about in a safe and friendly environment, but you can also experiment and share your creativity with fellow music lovers. Every other week we choose a topic and spend the next several days creating a playlist that represents ourselves, the music we like, and the theme. Then we spend several days listening to everybody's submissions for the week and share our favorite parts of each playlist at the next meeting. Through creation and collaboration our club allows our musically fueled minds to thrive. Mixtape club was founded in 2015 by the now graduated Hans Vanags, Sam Fitzsimmons, Craig and Connor Fisher and, Kate Gibson. We meet every other Tuesday during lunch in Speer's room (B210).